With the holiday season right around the corner, there are family gatherings being planned, menus being prepared, travel plans being confirmed, and more as we get ready to spend time being thankful and celebrating together. But let's forget all that for a second and talk about what's really on your mind, shall we? Black Friday. That's right, the busiest, craziest, mind-boggling-est day of the year is nearly here and all eyes are eagerly awaiting exactly what we all want to know: Black Friday ads. Where are the best deals going to be? What store can provide the biggest bargain? Just how early do I have to get up that morning? Or, more accurately, how late do I need to stay up the night before? Fortunately, when it comes to plotting out your best plan of attack for braving the Black Friday madness, there is one site that has all the answers for you: BlackFriday.info. On a mission to find the latest deals, sales and news from your favorite retailers, BlackFriday.info has been hard at work already going through all of the Black Friday information out there. By posting the best bargains as they are available, you don't have to waste your time searching dozens of sites for the lowest prices or looking all over town for those must-have items on your list. With over 100 retailers featured, BlackFriday.info has your shopping covered in just about every category. No matter if you have your eye on electronics, automotive, tools and hardware, jewelry, apparel and footwear, computers and laptops, toys, video games and consoles, pets, or movies and music, you'll find all of the bargains right in one place from the stores that you know and love. With Black Friday right around the corner, it's time to start putting together your list of stores as well as brush up on all of your best tips and tricks. What do you do? Do you bring multiple people and split up? Have your route (driving as well as in-store) all mapped out? One lucky person will win a $25 Amazon gift card from BlackFriday.info! To enter to win: Tell me your best Black Friday shopping tip(s). 1 Extra Entry (per method) if you follow BlackFriday.info on Twitter and/or Like them on Facebook. 1 Extra Entry (per follow method) if you follow me with Google Friend Connect, subscribe to my RSS feed, subscribe to Thanks, Mail Carrier by email, become a fan on Facebook or add Thanks, Mail Carrier to your blogroll. 2 Extra Entries if you put my cute button up on your blog. Please leave an address where it can be found. 3 Extra Entries if you blog about your Black Friday tips and link back to this post. Please leave an address where it can be found. Giveaway will end on November 18th at 11:59pm CST. By entering this sweepstakes, you are agreeing to these official rules. No purchase necessary, void where prohibited by law. Do me the favor of leaving an email address or making absolutely sure it is visible in your profile, I have to have a way to contact the winner. The winner will be chosen by random.org and announced here as well as emailed and will have 48 hours to contact me or respond to notification or a new winner will be chosen. The number of eligible entries received determines the odds of winning. This giveaway is open to U.S. residents only and must be 18 years of age or older. 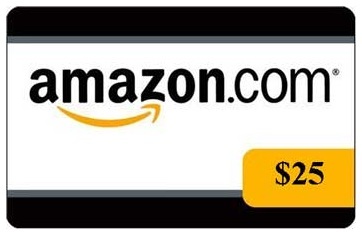 A big thank you to BlackFriday.info for providing an Amazon gift card for me as well as for one lucky giveaway winner. The opinions shared are my own and honest and if you really need to see more, click here to see how I roll. I've been on a different Black Friday site. I haven't heard of this one, I'll go check it out. My best Black Friday trip was a few years ago when I went by myself. My sister had just had a baby 2 days before and my Mom was helping her. I was scared to go alone, but I did! I went to 8 different stores in just a few hours and found everything on my list that I wanted for the day. The scary part was standing in line at WM and all of the crazy ladies with shopping carts behind me. I felt for sure that when the doors opened, they would run me over! My friend and I each had a list, when doors opened, we split up to gather our list items. When we left, we had everything on our list, digital camera, printer, monitor, computer, tv, and dvd player/recorder; and the best part is we only had to spend $10 after rebates and store specials. Research the sale ads online and in the sale papers. Map out where you are going. My tip is to do your homework ahead of time. Study the ads, make a list and focus on what is important. I usually do black friday online or cyber monday. :)If there is something really great, after we have reviewed all of the ads, etc, I would send hubby out so I can stay with the kidos. i got the wii the year it came out. Since I don't like to shop, and never go out on Black Friday, my best advice is to stay home@! I follow on Google Friend Connect as smdrm. My favorite tip is to compare prices and adds before going shopping with the sales flyers. But also check on the internet and see if there are any discount codes available if you order online. Often you end up with better prices online with combining the sales price and discount code. I entered the $500 gift certificate post. 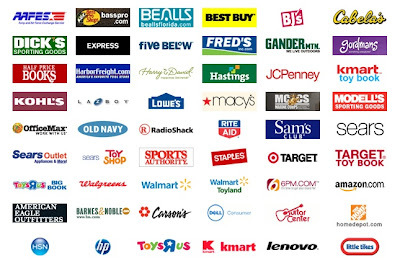 My tip is to shop the cyber sales from home and avoid the crowds! I like Black Friday Info on FB with my username Mary Happymommy. I have your text link in my blogroll at http://grandgiveaways.wordpress.com. Make a list and stick to it. Don't grab something just because it is cheap if you don't need it. My tip is to have a posse of 4 or more people, and immediately fan out to pre-appointed areas of interest. For example, 1 person dashes to computer line, another walks extremely fast to the Tv area, etc. I follow Black Friday on Twitter. I entered the Country Crock Giveaway. I entered the Baby Bullet giveaway. I entered the Goblin Kids Giveaway. I entered the Sumo Omni. I like to stay home and shop online! Bunnyb B - Like them on Facebook. Entered the Country Crock giveaway. Entered the Goblin kids giveaway. Entered the uncommon goods giveaway. Entered the magic cabin giveaway. Entered the rockin rider giveaway. Black Friday at Wal-Mart last year to get an awesome deal on a TV. You must do your homework. research sales, coupons, rebates etc. Also be prepared with snacks and water in your car. I also subscribe via Google reader. I have your button on my blog, entry #2. My tip is to go where the crowds are not going. While everyone is running to Target and Kohls, I head to the mall. There are just as many deals there (that dont have advertising) and alot less people! I entered the Problem Solvers giveaway! I like BlackFriday.info on Facebook. I go through all the ads ahead of time and decide where I want to go first. I get there early depending on store. Get to know where there items you want are. You have a better chance of getting what you want. I always go with a family member that way if the items I want are in different areas I can send them there. LOL. Thanks for the giveaway. My best tip is to do a walk through the day before and see where your desired items are placed. Black Friday Shopping Tip: Get there early and know what you are looking for. I suggest to know what I want before I get to the store and go get it. Wear comfortable shoes and be sure to dress warm if you're waiting for a store to open. I have never done any black friday shopping, Id say get plenty of sleep. I subscribe to your rss feed at my yahoo! I spend most of black friday shopping online! #TysonGoodness Twitter Party on November 29! Black Friday Shopping at Sears!